Blog post by Andrew Stanbury, Conservation Scientist, RSPB Centre for Conservation Science. All too often in nature conservation, stories are full of doom and gloom; highlighting species in steep decline. It is always great to get the opportunity to celebrate a real conservation success story and return of cranes to the UK is one of these. Common cranes probably became extinct as a breeding species in the UK during the 16th century. Before this they often featured on the menus of medieval feasts. For example, a banquet to celebrate George Neville’s enthronement as Archbishop of York in September 1465 supposedly included 204 cranes. Cranes started to re-colonise the UK in the late 1970’s, with the first breeding pairs in Norfolk. 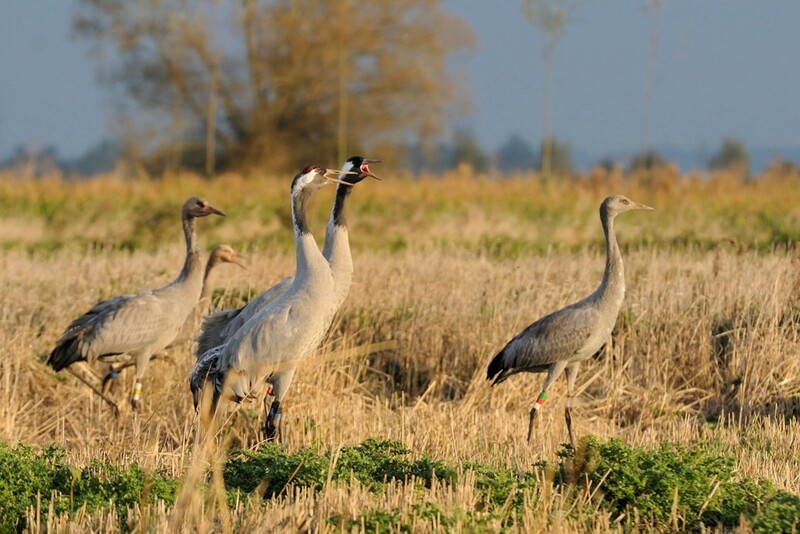 Thanks to the efforts of many dedicated people, such as the late John Buxton from Horsey Estate in the Norfolk Broads, The UK Crane Working Group and conservation organisations, we have welcomed a charismatic species back in to our countryside following a 400 year absence. Their recovery has taken several decades, and progress was slow to begin with. The population stood at just five pairs in 2000, but thanks to an increase in breeding success, the Great Crane Project (a reintroduction scheme to the Somerset Levels) and immigration from continental Europe (as shown by a recently published paper), their numbers have increased nine-fold since then. The Great Crane Project, a partnership between the RSPB, Wildfowl and Wetlands Trust, Pensthorpe Conservation and Trust and Viridor Credits, reintroduced birds to the Somerset Levels with aim of returning them to other parts of their former range. This has boosted the UK population and improved their prospects nationally. These birds, each individually colour ringed, now make up roughly 50% of our crane population. Over 140 young have now been successfully fledged since recolonisation and pairs now breed in England, Scotland and Wales. The UK population is self-sustaining, and birds appear to have a high survival rate. The availability of large protected wetlands has been a vital component for their recovery. Over 80% of the breeding population is currently found on protected sites (SSSI’s, SPA’s) and nature reserves, with 30% on RSPB sites alone. The RSPB’s Lakenheath Fen nature reserve, is a great example of wetland creation. Originally created for bitterns, cranes have bred annually on site since 2007. These protected sites offer the solitude, habitats and the sympathetic management required. Cranes are very sensitive to human disturbance, particularly while setting up territory and during the breeding season. At this time of year they can be surprisingly inconspicuous and remain hidden in tall vegetation for weeks on end. The future for cranes in the UK currently looks positive and their population is predicted to continue to expand. 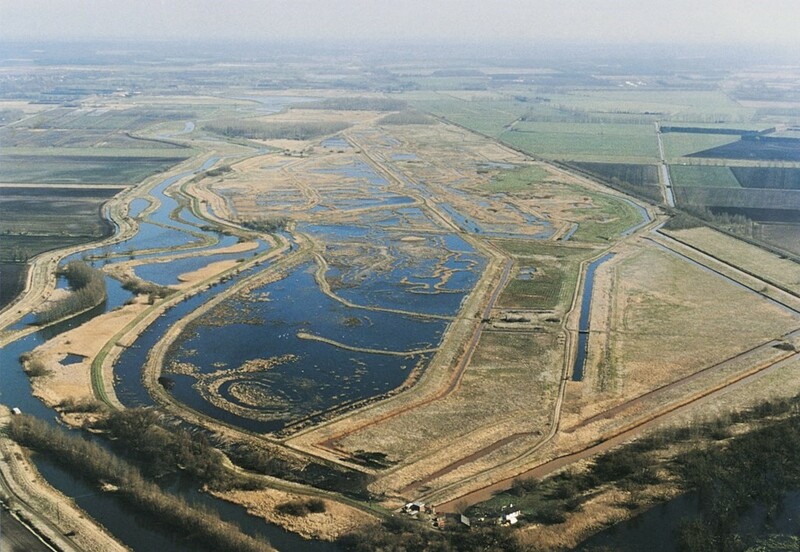 The creation of landscape-scale conservation initiatives under the mantra of “more, bigger, better and joined up”, as promoted by Sir John Lawson’s ‘Making Space for Nature’ report, should benefit species such cranes, as long as they include large wetland sites with disturbance-free zones. There are few more spectacular and charismatic species in Europe than the common crane. Luckily, after the species’ absence, more people should get the opportunity to watch winter gatherings undertake their distinctive dancing and bugling courtship.